After a lot of testing, we determined that the ALPS Mountaineering Lynx 1-Person Tentis the best one man tent. The Mountaineering Lynx 1-Person Tentis roomy with superior ventilation for comfortable camping on warm summer nights. Setup is easy too with this durable tent. It is well constructed and kept us dry in the rain. Besides all that, it looks slick too. This tent had a lot of extra features that made it stand out from the competition. We loved the extra-large zippers which were easy to use without getting stuck. It includes a vestibule which we always appreciate in any tent. With aluminum poles, it keeps the weight under four pounds for easy transport. The ALPS Mountaineering Lynx 1-Person Tent has a spacious floor plan for a one man tent at 90” x 32” x 36”. The deciding factor between theALPS Mountaineering Lynx 1-Person Tentand theTETON Sports Mountain Ultra Tentwas the extra leg room. The total pack weight was comparable. We were impressed that it included a footprint to cover the ground and help with water resistance. The tent is composed primarily of mesh panels, making the rainfly essential for privacy. Several other tents caught our attention for the added features that they included. Both are alternatives offer something extra that we don’t see as often in other products. That may make them more of a niche product. These extras offer a different camping experience that makes each one worth a look. POPS UP IN AN INSTANT: It's solo camping made easy; Buying the tent will take you longer than setting it up will; Roll it out, lock your poles, pull the drawstring and the tent pops up-done! Comfort is the main consideration when buying a one-person tent. The best tents will provide adequate space with plenty of airflow to prevent condensation build-up. There’s not much worse than a damp tent especially if you’re stuck inside because of the weather. And you’ll need some place to store your gear too. Size is an essential factor. 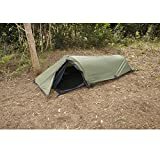 If you’ve starting looking for the best one man tent, you’ll know that there are numerous products from which to choose. That can make it more difficult to narrow down your choices. 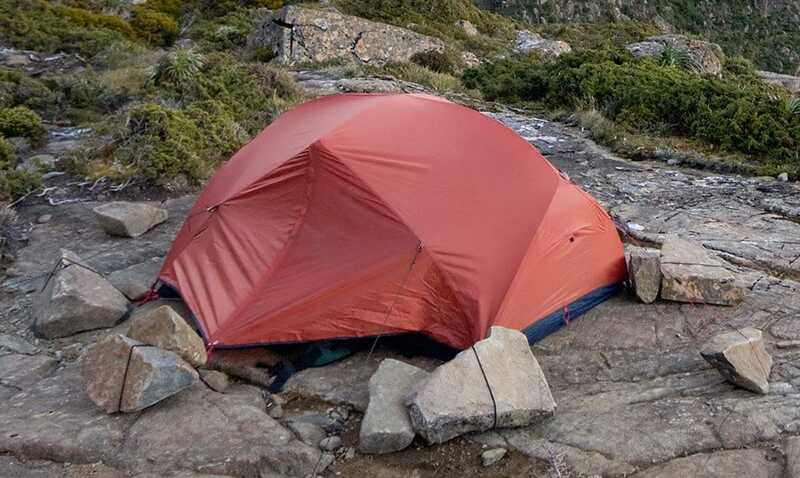 This guide will help you determine the best tent for your needs. It begins with the kind of camping that you do so that you’ll know which features are most important. There isn’t just one type of one person tent which is why you need to focus on your camping you do. Each type has specific features to match the typical outing. 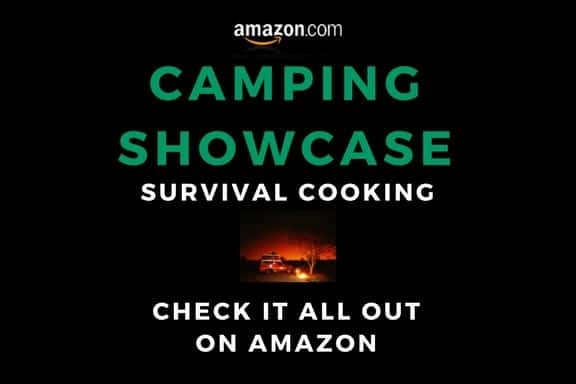 The first consideration is whether you backpack or car camp. For the former, weight is going to be a consideration of utmost importance. Ounces matter when you’re carrying a pack with a tent on your back. Backpacking tents come in ultralight and standard. The difference between the two is weight. Ultralight tents weigh less than two pounds. However, it doesn’t mean that they’re any less sturdy or roomy than other types. They often include a larger portion of mesh panels and fewer poles to cut down on the weight. You’ll see weights listed for tents as the trail pack weight and the total pack weight. The former is what you’re carrying with just the basics. The latter is with the tent and all the accessories such as stakes included. The total figure is probably the most important so that you can have all you’ll need to match the changing weather conditions. Weight, of course, isn’t as much of an issue if you’re parking at a base camp and setting up a tent. You should still choose a high-quality product that will keep you dry and comfortable. Easy setup is an essential consideration no matter what kind of camping you do. Unfortunately, there isn’t one set standard across the industry for occupancy sizes. Rather, you’ll see a lot of variation between manufacturers. That’s why it’s important to know all the dimensions of a tent and not just the square footage. You’ll see them listed as length, width, and height. If you’re taller, the length is going to make a big difference in your ability to stretch out. If you’re a restless sleeper, you’ll want a roomier tent with a larger width. You’ll most likely see tents under four feet in height for one person tents. Just make sure it’s high enough for you to sit comfortably. The extra features are often the deciding point when it comes to choosing the best 1 person tent. These small details often add a lot of value to your purchase and can make the difference between a good and a high-quality model. The shape of the tent is another essential factor when it comes to the usable space within a tent. One of the most popular types is the dome tent. This one offers excellent stability in windy conditions. They are freestanding so that you can move it if necessary. You’ll also find tunnel or hoop-shaped tents. Unlike dome tents, they are not freestanding. That means that setup is more involved with stakes. On the plus side, they are often lighter if weight is an important consideration. Tents are either single or double walled. Single-wall tents are composed of one layer of waterproof/breathable material. They are often lighter which makes them a smart choice for backpacking. However, you should make sure there is enough ventilation to avoid condensation. Double-wall tents include the main living space and a rainfly for protection from the elements. They typically have one more mesh panels for excellent airflow. While the rainfly means extra time to set up, it also adds to the versatility of the tent. For a one person tent, a vestibule is essential when space is at a premium. These sheltered features provide extra storage area to keep the tent from feeling cramped. They are handy for storing wet or dirty gear to keep the inside clean and dry. Think of them as your tent’s mudroom. Tents usually include extra storage areas to help you stay organized. Look for features such as wall pockets or a gear loft to keep essential in handy reach. Another welcome add-on is a ceiling loop so that you can hang a lantern inside. When you’re dealing with a small space, these extras make a huge difference. Ventilation can either make or break a pleasurable camping trip. Mesh panels ensure that the air keeps moving when you’re tent-bound or sleeping. And no-see-um netting is vital no matter what size tent you use. There should be some space between the tent and the rainfly so that you can stay comfortable when the weather takes a bad turn. You’ll find tent poles made of a variety of materials including carbon fiber, fiberglass, and aluminum. The latter has the advantage of being both lightweight and durable. And remember that fewer the poles means a quicker the setup. Also, pay attention to how they attach to the tent. Clip-on attachments provide the easiest setup and teardown. There are also short or long sleeves through which you’ll pass the tent poles. A combination of clips and short sleeves is ideal. Some tents come with pre-attached poles so that all you need to do is unfold and extend the tent. The difference between the two types lies with setup time and portability. You can move a freestanding tent to match the wind direction for maximum ventilation. Moving a non-freestanding tent is a longer process. No matter what types, you should still stake it down to keep it in place. The best tip we can give you when buying a one man tent is to set it up at home before you go camping. You should feel comfortable setting it up and packing it up for the return trip. It’s also an excellent time to try it out to make sure it’s comfortable and has plenty of room for you and your gear. You’ll appreciate your efforts when it’s time to set up camp after a long day on the road.